Put the words “Dynastar” and “Legend” together in the same sentence, and a lot of skiers will start smiling and nodding. And now, we’re finally taking a look at the latest generation of Legends, the Legend X106 and the X96. There’s a lot going on in that description, so let’s just go ahead and get into the details. First, the construction and finish of this ski look really nice. The Legend X106 also has less tip splay but more tail rocker / splay than the Cham 107. The X106 ski also has a notch on its tail for climbing skins, and at its weight, there’s no question this ski would make sense as a “50/50” ski, or even a dedicated touring ski. So, compared to other “50/50” skis, the Legend X106 is coming in at a pretty similar weight. But compared to more traditional alpine skis, the Legend X106 is still quite light. 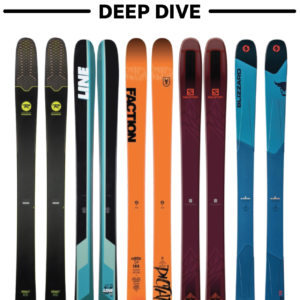 But while we continue to see this trend of skis getting lighter and lighter, it is wild to me that we don’t see a corresponding trend of skis getting softer. 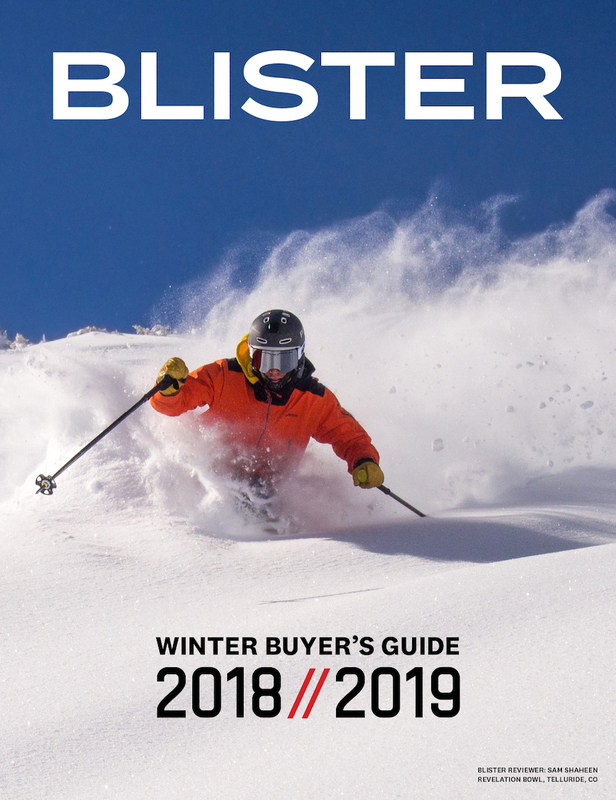 To be clear, there are certainly a lot of softer-flexing skis on the market these days. But to stick within Dynastar’s own line, their 192 cm, 105mm-underfoot Pro Rider weighs over 2600 g per ski. The new 188 cm, Legend X106 is 600 g per ski lighter … and yet it is also stiffer. Kinda odd, isn’t it, that we seem to hate weight in the ski industry, but we don’t hate stiff flex patterns? While the Wailer A 106 is even lighter than the Legend X106, this is one of the most direct comparisons, we think, to the Legend X106. Stay tuned. And the Dictator 3.0 is the other ski that comes to mind. We found the Dictator 3.0 to require a very strong and precise pilot, and it’s going to be very interesting to see if the Legend X106 feels similar or more forgiving and / or more accessible than the 3.0. Whoa. It is very surprising to find that this 188 cm “Legend” ski comes in lighter than the 188 cm (18/19) Rossignol Soul 7. And while the Soul 7 has even more traditional camber underfoot than the Legend X106, it’s tips & shovels are world’s softer than the Legend X106, and while the difference in the tails of the two skis is less drastic, the tails of the Soul 7 HD are still much softer than the Legend X106’s. Similar weight, similar sidecut radius. We found that the Rustler 10 really wanted to be turning rather than running straight, and it’ll be interesting to see how similar or different are the tendencies of the Legend X106. Nothing much concrete to say yet other than we will be curious to A/B this new Vantage 107 against the Legend X106. Honestly, we really aren’t sure what to expect here. While the Dynastar Legend X106 has a more playful, “5-point” tip shape, the flex pattern of this ski is no joke. So it’s going to be very interesting to see just what sort of blend of power and playfulness this ski has, and how demanding or forgiving of a ski it proves to be. I have spent my entire season on them as a daily driver. I seldom grab other skis in my quiver now, including my LP105. It’s a great ski. Woody, any affiliation with Dynastar? It’s odd that someone not affiliated with a brand has the time or want to post same sentiment almost everywhere that ski is reviewed or sold. Just a fan boy. 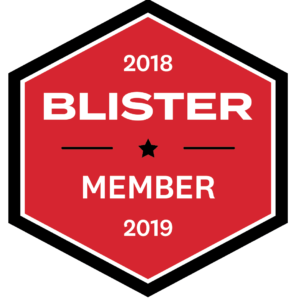 I have only posted that short excerpt on here and a slightly longer review on dynastar’s website, and a somewhat in depth review on TGR? I guess that counts as mindless posting everywhere on the internet. It may be that when you post on one site it auto populates another. I seem to have read the “picking it over my 105” a few times is all. Honestly, Dynastar (I know you’re not reading), but how hard is this. Dynastar states that there is no metal laminate in the ski. Can you double check? Andrew, I have an email reply from Dynastar that just pointed me to their powerdrive free construction chart (no metal). I picked up a pair because price was too silly to say no to and just drilled them with a 3.5 as stated on top sheet: no metal there. I know these are not the race build so no vertical ti laminate “stringers” as in that construction, so lots of misinformation on the net: I am 99.9% sure not metal. This is interesting and frustrating. The x106 requires a 3.5 bit and def no metal when drilled. The x96 is marked as needing a 4.1 and the w96 a 4.1. I’ve drilled neither of those. If one looks at pages 31 thru 33, there it a “Ti” column. For the w96 it is marked that it has ti. The x96 no and the 106 no. It doesn’t really matter because how they ski trumps the build but this should not be so difficult. Hey you guys get some more time on this ski yet? Excited to hear more about it. Hey, are you guys ever going to finish this review? 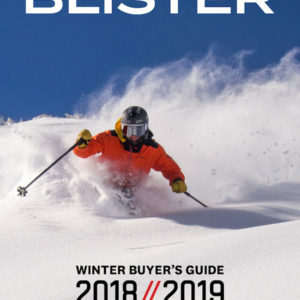 There is quite a discrepancy between this pre-review breakdown and the blurb you gave this ski in the gear guide – clearly this ski wasn’t what you thought it was, and I’m quite curious as to why. I’m shopping for a big mountain ski to replace my dying K2 Obseths. Today, I rode a pair of Legend X106 188s in a warm, coastal storm at Alyeska in AK. 12″ new, wind affected, variable conditions on the upper mountain…wet ice on the bottom…crud in between. I loved the ski. They handled everything well. They like going fast…very stable at speed on the run-outs, but they really shined in the untracked stuff. 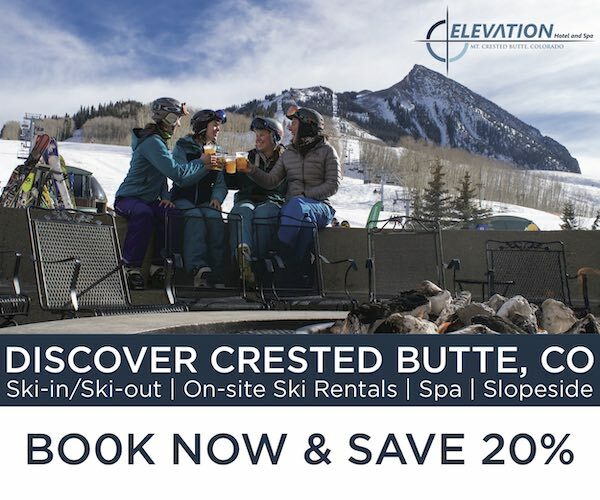 I’ll test drive some comparable skis before I buy, but it’s going to have to be a pretty remarkable ski to dissuade me from snagging a pair of Legend X106’s.